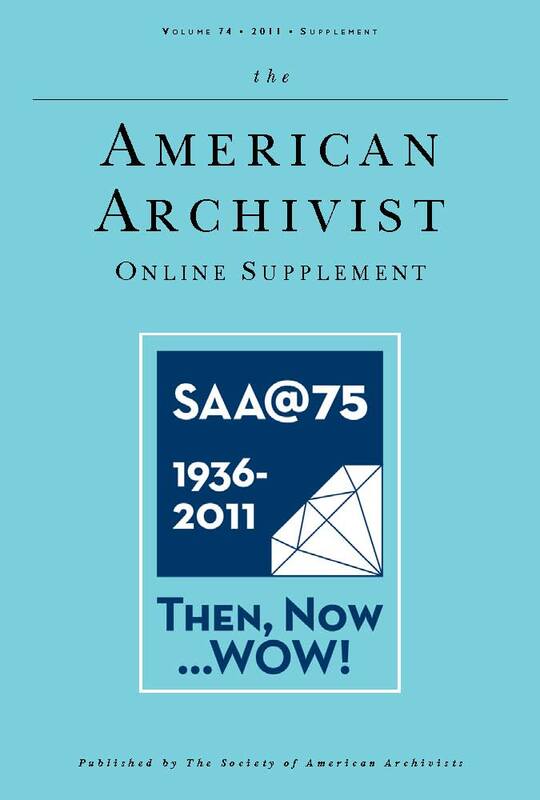 This first-ever supplement to the American Archivist features content from nine of the SAA 75th Anniversary sessions at the ARCHIVES 360˚ conference in Chicago in August 2011. Also included is an introduction by guest editor William E. Landis. Click on the links below to access the content, or visit the MetaPress site.